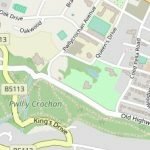 Colwyn Bay Heritage > History > Who owned our land in the 16th century? 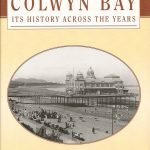 Colwyn Bay now belongs to Conwy, but before 1996 we lived within the borders of Clwyd. Some of us born in Colwyn Bay grew up in Denbighshire not Conwy. Others have lived in three counties without ever moving. This is because the borders have constantly changed over history, and in our lifetimes. 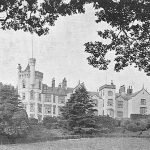 We know that in 1808 Lady Erskine inherited all the land where Colwyn Bay was built. It passed to her husband on her marriage in 1821 and her son Thomas inherited it after David Erskine’s death in 1841. 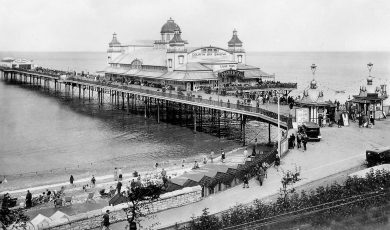 The land was eventually sold in 1865. Read more about Pwllychrochan Estate here. The Conway family of Bryn Euryn had owned it since 1680, before the Erskines. In the sixteenth century King Henry VIII was determined to end the power the Pope had over him and to make himself more powerful throughout his kingdom. His policy in Wales was to abolish the powers of the Lords of the March lands. The first ‘Act of Union’, was passed in 1536. ‘The March’ was divided into seven counties: Denbigh, Flint, Montgomery, Radnor, Brecon, Monmouth, Glamorgan and Pembroke. English law was from then on to be used in Wales. After Henry dissolved the monasteries he also sold off some land to raise money. The land, then called Denbighshire, was owned by the crown until the sixth year of the reign of Elizabeth I, (the daughter of Henry VIII and Anne Boleyn). She gave Denbighshire as a gift to Robert Dudley who was her favourite, a childhood friend who had been imprisoned in the Tower of London at the same time as Elizabeth. She made him her Master of the Horse, a very important position. Some say she would have liked to marry him but he said she told him when she was a young girl that she would never marry, and she kept to this. As well as the lands of Denbighshire Robert was also given the Order of the Garter and titles. He was created Baron of Denbigh on 28 September 1564 and also became Earl of Leicester on 29 September. Since the fourteenth century the lordship of Denbigh and its land had been part of the Earldom of March. 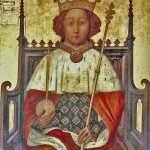 It reverted to the crown with Edward IV (who was the seventh Earl of March and first Yorkist King) in 1461 and the land had been granted out only to Prince Arthur, oldest son of Henry VII in 1493. The three other Marcher Lordships from which the shire of Denbigh was created in 1536 – Chirk, Ruthin and Broomfield and Yale had reverted to the crown at the turn of the fifteenth century. In 1531 the land had been granted to Henry Fitzroy Duke of Richmond (the illegitimate son of Henry VIII). The grant of Denbighshire and Chirk to Robert Dudley (and of Ruthin to his brother Ambrose Earl of Warwick) in 1536 reversed a previous policy of keeping it in royal hands. 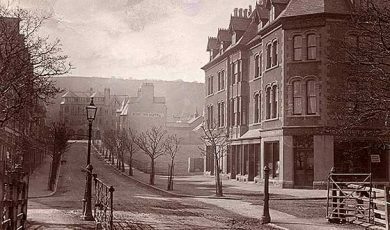 Dud ley as owner was then able to collect the rent from his tenants. The document outlining this can be seen in the Denbighshire Record Office at Ruthin Gaol, although it is hard to decipher. A deed of agreement between himself and his tenants was drawn up on 27 September 1563 in ‘The records of Denbigh and its Lordship’. 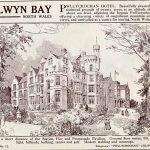 We know he visited the town of Denbigh, but there is no record of him coming to his land at the bay which is now Colwyn. Rhos Fynach, (which had been a monastery and fishing weir since 1230) was granted in 1575 to a Captain Morgan ap John ap David, for services rendered against the enemies of Queen Elizabeth I at sea. Robert Dudley had a son, called Robert Lord Denbigh with his third wife Lettice Knollys a cousin of Elizabeth I, (who looked just like her) but the baby died in infancy. He had another son also called Robert (an explorer) from his second marriage to Lady Douglas Sheffield which was in secret so the son was deemed illegitimate, although he did inherit the bulk of his father’s estate according to his will. It is possible to read Robert Dudley’s secret memoirs here, or to read about other aspects of his life.